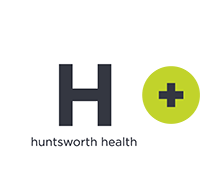 London, 17th February, 2015: Tonic Life Communications, the global healthcare communications consultancy and member of the Huntsworth Health family of best-in-class agencies, is delighted to announce the exciting appointment of three new hires to bolster its senior team in London. The news follows the recent appointment of Mary Smiddy as Global CEO. Ainsley Cooper strengthens the current Directorship at the award-winning agency, and Elisabeth Neal joins as Associate Director while Alex Davies is the most recent Account Director addition. Together Ainsley, Elisabeth and Alex bring with them a total of 30 years healthcare communications experience. Ainsley has an impressive range of experience across consumer, ethical and private healthcare, with specific expertise in digital health in which she has led over 20 global digital projects. Ainsley’s strategic experience has delivered countless relationships with world-renowned opinion leaders and patient advocacy groups. Prior to joining Tonic Life Communications, Elisabeth held a Director role at Burson-Marsteller and has worked closely with a number of the world’s leading pharmaceutical, biotechnology and medical device companies. Alex has previously worked at the BBC, AstraZeneca and the Royal College of Nursing (RCN). He has significant experience in media management, corporate communications, public affairs and strategic communications. Like Ainsley, Alex also brings significant experience in digital communications, having won international awards for digital campaigns whilst at the RCN. The new starters will work out of the new Huntsworth Health offices in St James’s Park, where Tonic Life Communications Europe shares space with sister consultancies ApotheCom and Nitrogen. Consistent with Huntsworth Heath’s positioning each boutique agency provides its own specialised services while retaining the unique ability to provide fully integrated services via handpicked, dedicated multi-channel teams.